Sign up with your email address to receive news and updates on Space Frontier! We respect your privacy. Your mail will only be used to send updates related to Space Frontier’s development. 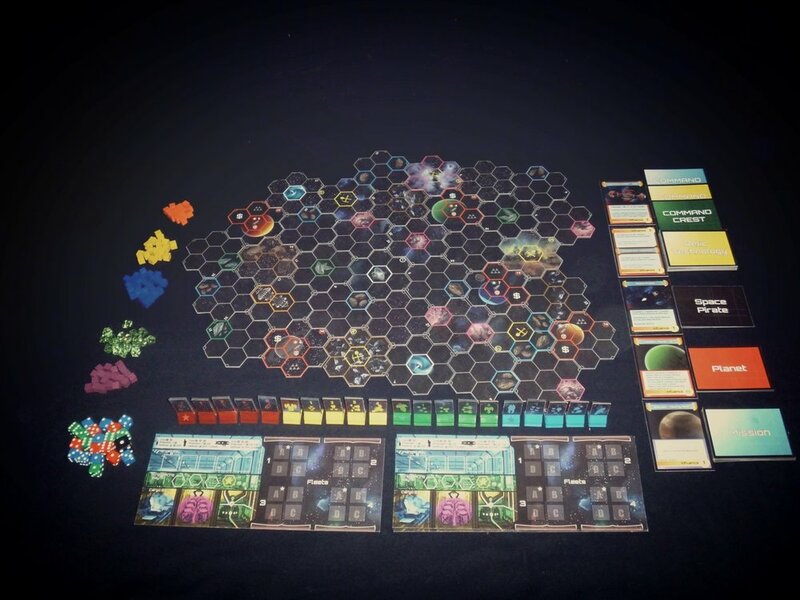 Space Frontier is a 4X strategy board game where you'll command fleets of ships as you explore space and spread your influence across a newly discovered sector of space. The game was born of a love of space games like Homeworld, Twilight Imperium, and Escape Velocity. Our goal was to create a space exploration boardgame with easy rules and a short(ish) playtime. We're excited for more people to have a chance to play. Download it and let us know what you think!